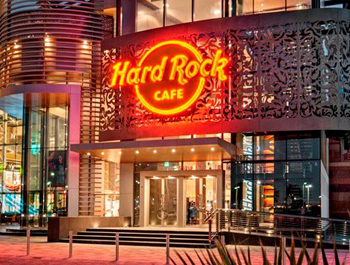 Hard Rock Cafe Dubai is the latest example of Hard Rock’s concept-driven design evolution. 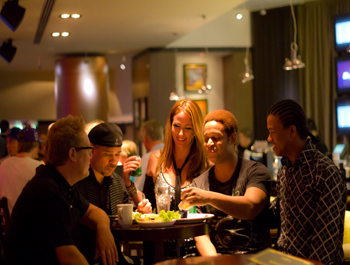 The main floor of the restaurant features a sleek, iconic stage as the focal point, giving the space a contemporary feel. 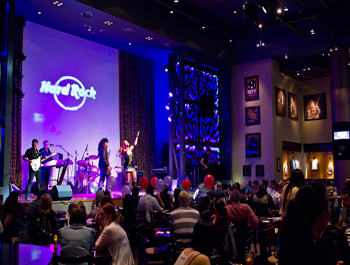 In addition, the large bar, lounge & terrace articulate the energy and vibe of the Hard Rock brand. 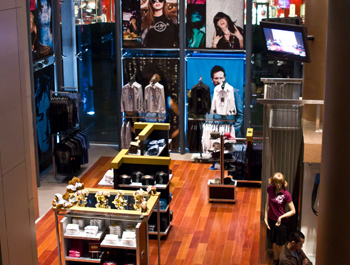 In contrast to the main floor, the ground floor Rock Shop provides a raw, open space complete with glass walls, elevators and a two storey atrium. 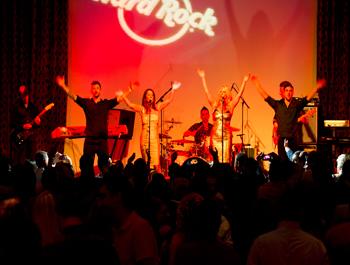 Where one of a kind Rock T Shirts designed by artists like Jon Bon Jovi, Green Day and Shakira make Hard Rock tee shirts top shelf items. Truly dedicated Hard Rock fans can collect pins that display their rock personalities. You can proudly show your support for a cause or simply sport a cool vintage design from a selection of women’s and men’s t shirts. The Rock Shop’s offer fine quality tee shirts in hot styles designed by cool artists. 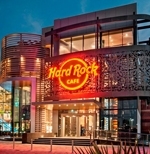 Hard Rock Cafe Dubai is 2700 sq. 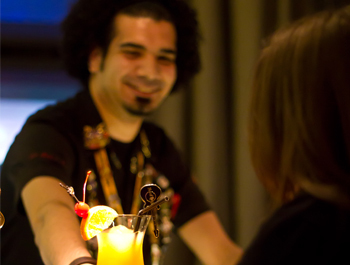 meters, offering a stage for live performances, a private VIP function room, a separate lounge adjacent to the bar, an outdoor terrace and not just one but two Rock Shops - that’s how we roll!